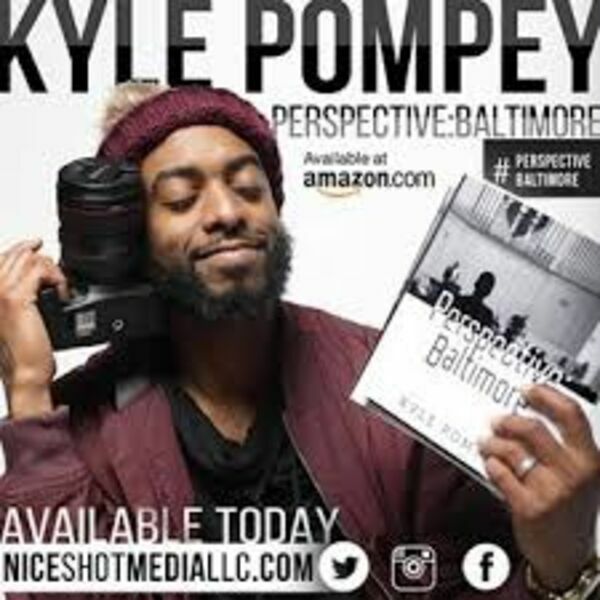 SoundBalming with LaMarr Darnell Shields - Photographer Kyle Pompey talks about his book Perspective Baltimore, living a life of purpose, giving back, beauty, and what it was like being my student. Photographer Kyle Pompey talks about his book Perspective Baltimore, living a life of purpose, giving back, beauty, and what it was like being my student. This is one of my favorite interviews to date. It really delves into the details of how Kyle Pompey found his niche, and started to excel in it. We also reminiscence on the days when Kyle was my student, and what he learned from me. Most importantly though, we discover how Kyle has found his own style and the inspiration behind his shooting. And how you can do the same. If you’re an aspiring photographer or just need a bit of inspiration, then this interview is for you. Kyle Pompey is a professional photographer living in Baltimore, Maryland, who considers himself an "organic photojournalist." Whether collaborating in his studio or documenting throughout his travels, Kyle avoids posed or planned pictures. Instead, he perceives the energy of his subject, which he allows to define the story of the moment. Inspiring imagination is the goal of Perspective: Baltimore. Designed to promote freethinking every image will deliver a different narrative from the reader. A Baltimore native, Kyle is featured in a variety of publications such as The Huffington Post, GQ, Essence, Japan Magazine, and The Baltimore Sun Dark Room. His images have also been used in a collection of artistic works such as the Reginald F. Lewis Museums “Reflections of Baltimore” exhibit, Tariq Toure's "Black Seeds: The Poetry and Reflections of Tariq Toure," and Aaron Maybin's "Art Activism." He also runs a youth photography camp called “Youth Perspective: Baltimore Photography Camp”.